Our relocation moving services are offered regardless of whether you’re moving from San Antonio in Texas to Florida, New York, New Jersey, Connecticut, Georgia or Maryland. Similarly, if you’re moving from any city in Texas, for that matter. All Around Moving Services Company and our assigned skilled movers assist with your long-distance residential moving needs. Likewise, we are the most chosen moving services company for residents moving from San Antonio. This is due to picking out the most skilled movers. We are ready to move you at any time! Your belongings are safe in our assigned movers’ hands. We guarantee that your precious possesions are moved safely and securely. Providing free and thorough assessments of all types of moves. Such as, local, long-distance, and international. Offering a diverse assortment of specialized moving and storage services. Likewise, for both residential and commercial purposes. Issuing a fair and reasonable quote that fits your budget. Arranging professional movers to handle your furniture, fixtures, and possessions to San Antonio. If needed, place belongings in a exclusive storage facility for short and long-term purposes. When hiring us, you choose a professional moving company that consists of excellence and precision. As always, our services are done without hassle or delay in any relocation matter. Call 646.723.4084 or or complete the estimate form below and get your free long distance moving quote today!! First, perform an accurate inventory of all your furniture, fixtures, valuables, and accessories. Secondly, determine transportation, personnel, equipment, and shipping materials. Additionally, anything extra needed for your San Antonio move. Then, generate a proposal for moving and relocating to San Antonio. Next, arrange all proper documentation and insurance prior to move. Finally, coordinate all handling, transportation, and scheduling of your move. For example, loading, unloading, traveling, arranging, and assembling. Therefore, don’t wait until the last minute! Fill out a professional moving quote form today! Tell us about your specific local and long distance moving needs from San Antonio, Texas. Fill out a Long Distance Moving Quote Request. 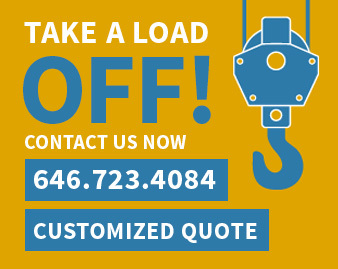 Feel free to call us directly at 646.723.4084. Big or small, we do it all!